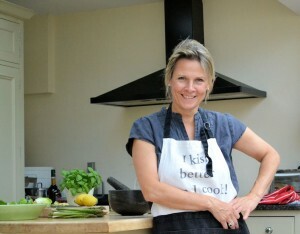 A professional, private cook for more than 20 years, I am now based in Oxfordshire where I have built a fabulous client base. Having turned my hobby into a business, this has evolved into Rachel Wells Food, and I’m delighted to welcome you to this website. I hope it gives you a flavour of what I can offer so do please pick up the phone or send me an email if I can help with any event you may be planning in the future. I have hosted dinner parties in luxury chalets, shooting lodges, company headquarters and private villas all over the world. With wonderful local suppliers, I am spoilt for choice for meat, fish, fresh fruit and vegetables and I’m acutely aware of sustainability and food miles so you can rest assured that the food you will be eating will be the highest quality and sourced with this in mind. When I’m not cooking, I’m running around with my daughter and two small terriers and trying to find a few extra hours in the day!